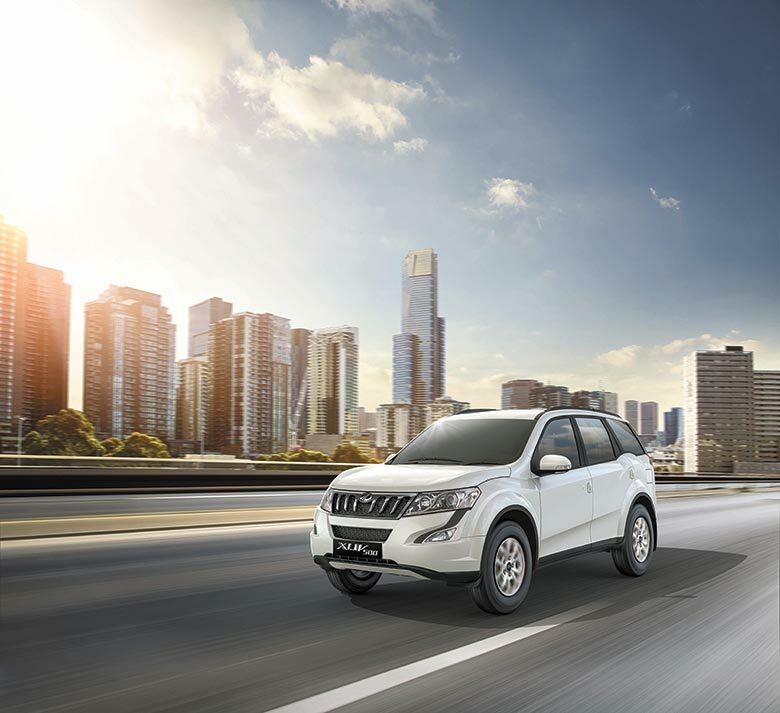 Mahindra & Mahindra Ltd., India’s leading SUV manufacturer, today announced the introduction of the Automatic Transmission (AT) in the W6 FWD variant of the New Age XUV500. The Automatic option will now be available across four (4) variants of the New Age XUV500 at a range of price points to appeal to different customers – W6 FWD, W8 FWD and W10 FWD and AWD. The Automatic variant of W6 FWD is priced at Rs.14.29 lacs (ex-showroom Navi Mumbai* for W6 FWD variant) and will be available across Mahindra dealerships with immediate effect. The New Age XUV500 is the only SUV in its class to offer a 2nd generation, 6-speed automatic transmission with AWD as an option. The Automatic Transmission has been sourced from the leading global supplier, AISIN, Japan. The New Age XUV500 Automatic takes driving experience to the next level with easy cruising on city roads as well as highways. The Automatic Transmission of the New Age XUV500 has resonated very well with our customers since we launched it in November 2015. I am sure that the availability of the Automatic Transmission across variants and a range of price points will now render this technology more accessible to a larger base of customers and make the XUV500 a more attractive proposition amongst a wide spectrum of buyers. Fully Automatic Gearbox – The XUV500 Automatic features a new 2nd generation transmission with torque convertor and a planetary gear-train that enables smooth and precise gear shifts. The intuitive gear changes combine responsiveness of a manual transmission with the hassle-free operation of an automatic, thereby providing the experience of both relaxed cruise or spirited drive, as desired. 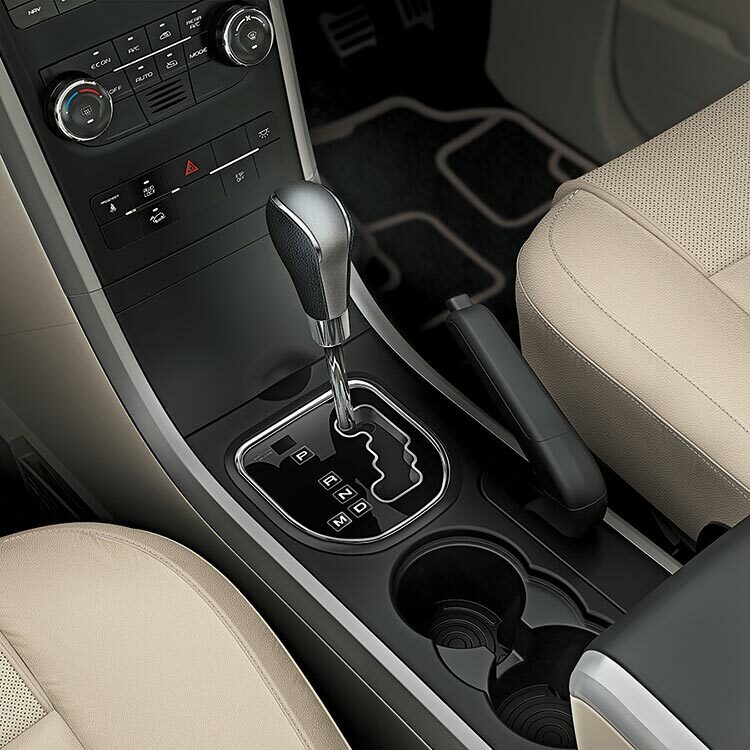 The Automatic transmission allows dynamic gear shifts that are smooth and barely perceptible. Optimized gear ratios (with 2 overdrive gears) with 6 speed automatic transmission for better fuel efficiency – With 6 gears the XUV500 has a higher number of gear ratios than a conventional 5 speed automatic which are optimized to deliver the best fuel efficiency. Automatic transmission with AWD – For the Adventure seekers the all new Automatic transmission also comes with an option of All Wheel Drive (AWD) on the XUV500 W10 variant. The AWD ensures that the vehicle torque is suitably distributed between the wheels to provide the best traction on rugged or slippery roads, by sensing the difference in RPM between the front and rear wheels. Intelligent adaptation to terrains and altitudes – The intelligent all new transmission is capable of adapting to mid and high altitudes to enable best drivability in these conditions. The two uphill climbing modes allow the vehicle to take on slopes and ghats effortlessly. Easy cruising in City – The automatic gearbox is capable of providing brisk acceleration and smooth delivery of torque across all 6 gears so as to enable a relaxed and stress free drive even in the “stop and go” city traffic. It comes with a “creep function” to aid in slow moving traffic. Manual Mode – The Manual mode is for those spirited drives as it allows the user to manually shift gears and extract the best performance from the vehicle.